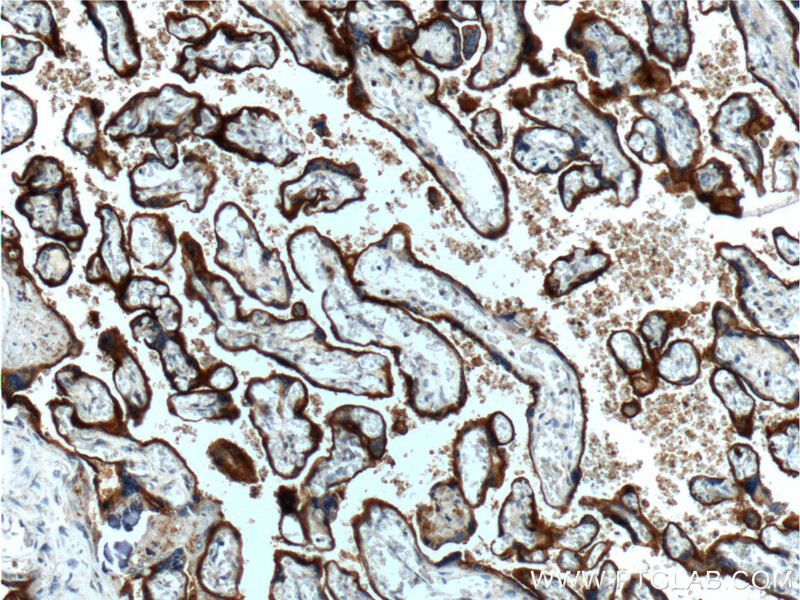 Immunohistochemistry of paraffin-embedded human placenta tissue slide using 10084-2-AP (CD71 antibody) at dilution of 1:200 (under 10x lens). 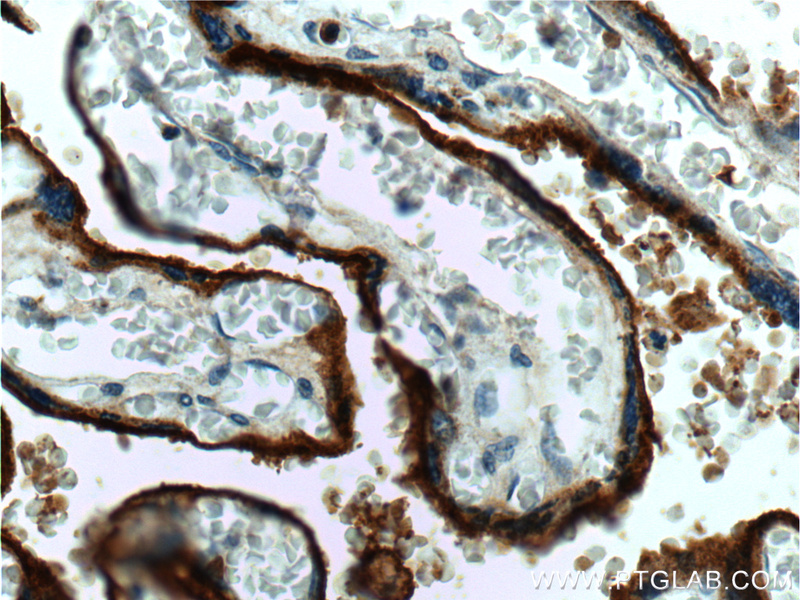 Immunohistochemistry of paraffin-embedded human placenta tissue slide using 10084-2-AP (CD71 antibody) at dilution of 1:200 (under 40x lens). 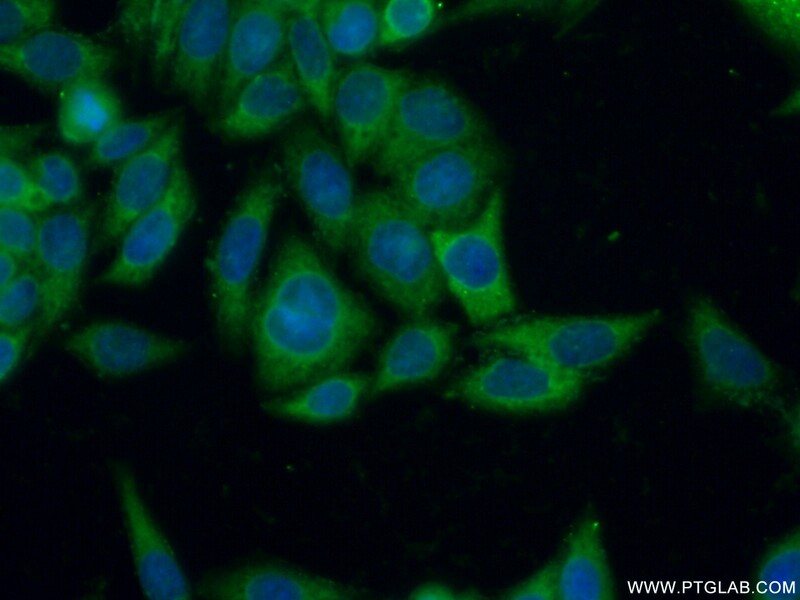 IP result of anti-CD71(IP:10084-2-AP, 4ug; Detection:10084-2-AP 1:500) with HeLa cells lysate 2400ug. CD71, also known as transferrin receptor protein 1 (TfR1), is a transmembrane glycoprotein composed of two disulfide-linked monomers, each of 90 kDa molecular weight. Each monomer binds one holo-transferrin molecule creating an iron-Tf-TfR complex which enters the cell by endocytosis. CD71 is present on actively proliferating cells and is essential for iron transport into proliferating cells. Adaptor protein complex 2-mediated, clathrin-dependent endocytosis, and related gene activities, are a prominent feature during maturation stage amelogenesis. Characterization and proteomic analysis of ovarian cancer-derived exosomes. Dysregulated iron metabolism in the choroid plexus in fragile X-associated tremor/ataxia syndrome. Iron homeostasis and its disruption in mouse lung in iron deficiency and overload. Mono-ubiquitylated ORF45 Mediates Association of KSHV Particles with Internal Lipid Rafts for Viral Assembly and Egress. 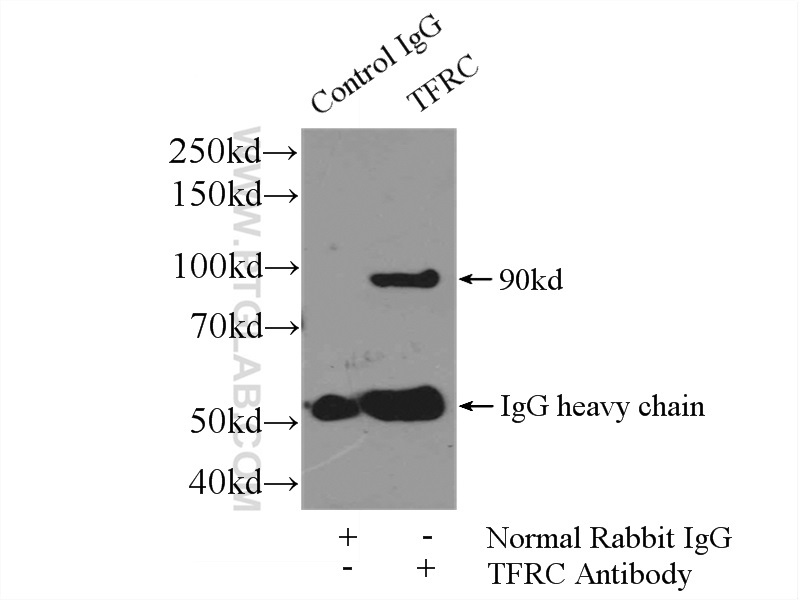 Intratumoral payload release influences the potency and bystander-killing effects of antibody-drug conjugates in preclinical models.